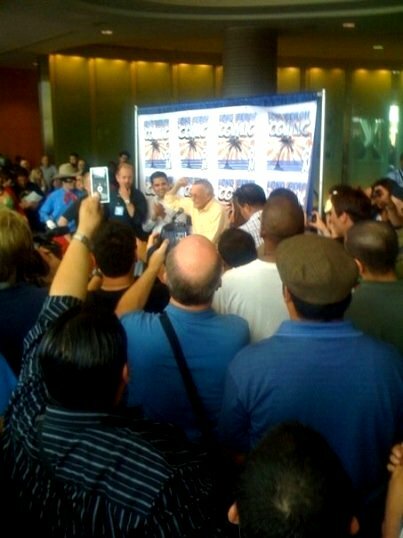 Above: Michael D Hamersky being photographed from behind while he was photographing Stan Lee at the 2009 Long Beach Comic Con Opening Day! Above: Long Beach City Councilman Declares Friday October 2nd To Be 'Stan Lee Day' In Long Beach, California @ LBCC! 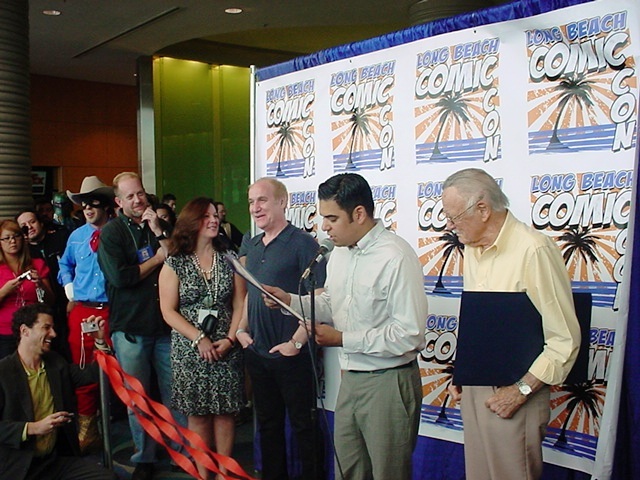 Above: Jeph Loeb reads additional honors for Stan Lee at the 2009 Long Beach Comic Con! 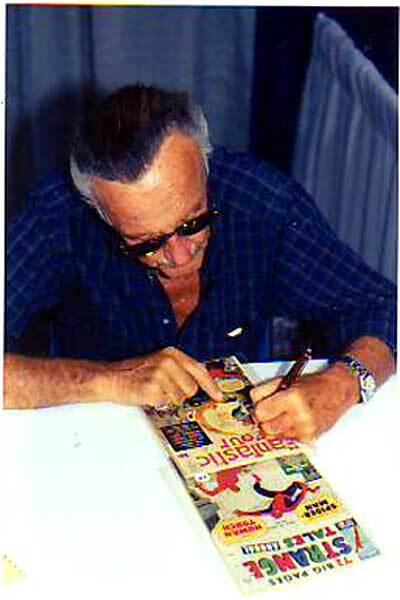 It's almost the end of the 2009 year, which means we still have Stan Lee's Birthday to celebrate! Today, December 28th, 2009, is Stan's 87th Birthday! Happy Birthday to You, Stan! The above photos were taken the last time I saw Stan, which was at the Opening Day of the Ignaural 2009 Long Beach Comic Con. Stan was the Guest of Honor, who cut the Opening Day Ribbon, but not until after he was also honored by the City of Long Beach by having the Day, October 2nd of 2009, declared 'Stan Lee Day'! 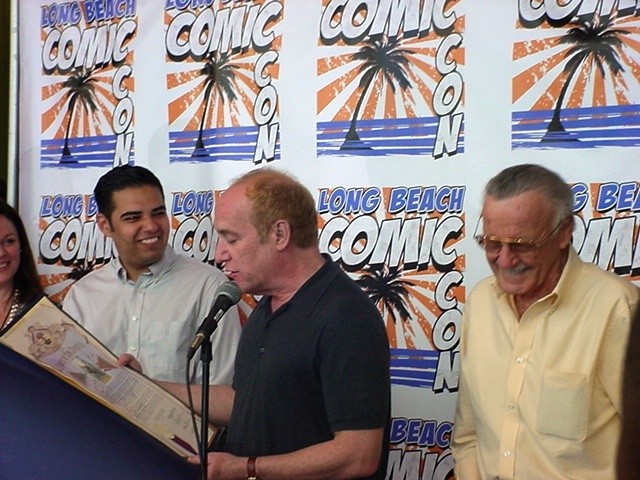 Plus he was also given another 'honor', which was read by Jeph Loeb, who is also pictured above. It has been my honor to blog about Stan Lee several times during this Blog's "life". Stan was and still is my 'hero', after all these years! It was his participation in the 'Silver of Age of Comics' that kept me reading and collecting comics during the 1960's into the 1970's, when so many others my age dropped reading them because comics weren't 'cool'. That's a different story today, as it is the twenty-somethings and plus that keep this industry busy by buying comics and graphic novels! 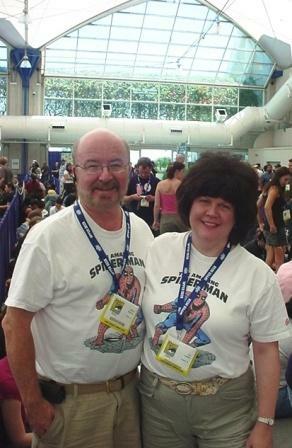 Plus to see what Stan Lee is doing nowadays, check out his web site at POW Entertainment! Plus, You can be a 'Fan' of Stan's at his Facebook Fan Page like I am! 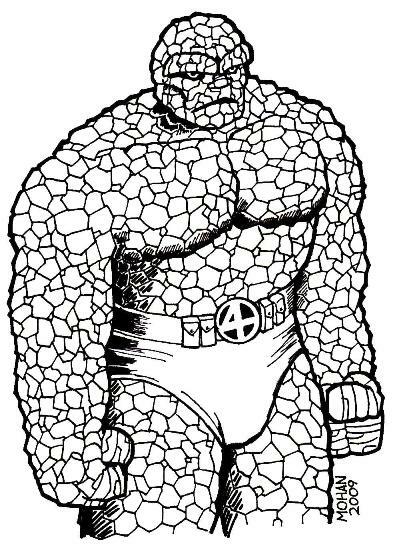 Suffice to say, if it wasn't for STAN LEE, and his multiple co-creators like Jack Kirby, Steve Ditko, Don Heck, Joe Maneely, etc., I wouldn't have the several websites and this blog to be busy with! For that Stan, I thank you from the bottom of my heart! Enjoy Your Special Day, Stan! Let there be many more! 'Nuff Said! 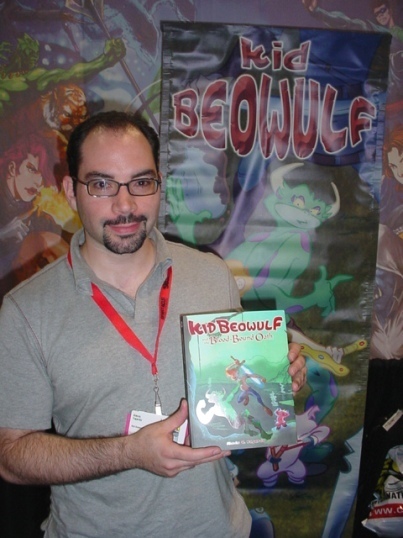 BTW, If YOU are a comics or graphic novel creator, whether writer, penciler, inker, colorist, etc., and would like to possibly see Your work reviewed here in my Blog, please check this following link, where I tell you: "How To Best Submit YOUR Publication For Possible Review!" 2009 DAY AFTER CHRISTMAS PRESENT: I am pleased to publish the below illustrated and inked sketch by Jim Mohan, a Facebook Friend. The sketch above is reduced in size to fit this 'Featurette' section. I received a full sized .jpg of the sketch which I am proud to own! If You like what you see above in Jim's pencils and inks, check out his Facebook Comic Con exhibitor table by clicking here! Thanks Jim Mohan for the sketch above. The timing of the gift was Excellent! WEB PAGE NOTE: This blog post is written for the IE Browser standards. Netscape, Safarai, Firefox and the others serve the page up differently. The screen display resolution is best seen at the setting of 1024 x 768. It's The After Christmas Sale! At Make It So Marketing's Online Store! 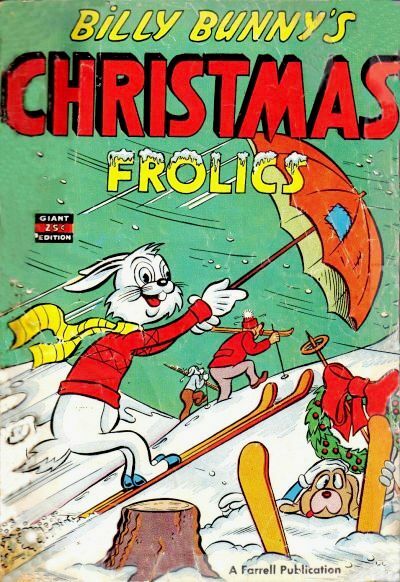 And enjoyed our 'Christmas Comic Book Covers And Me' blog post. It brought back a lot of memories for me! For today, we want to mention that we are 'blowing out' thousands of comic books starting at only $1.00 each plus shipping! That's so we can list thousands more of new listings that will coincide with our domain name re-launch in 2010! So if you've received 'Christmas Money' and want to use it for inexpensive reading material, this 'After Christmas Sale' may be right up your reading alley! More Comic Book Genres ! USA BUYERS: For buyers with USA addresses it is ONLY $3.95 for UNLIMITED purchases of raw unslabbed comic books! Whether you buy One, Two, or Ten raw unslabbed comic books, it is only $3.95 shipping! Please note: The $3.95 does not include slabbed CGC Comics, magazines, TPBs, Graphic Novels, books, toys, etc. Just comic books. If you combine comics with non-comics purchases, then we have to do 'combined shipping' which is more than the $3.95 S&H rate, sorry... But we only charge for the actual shipping, delivery confirmation receipt, and supplies used in the shipping process with a minimum handling charge! CANADAIAN BUYERS: For buyers in Canada, here's the shipping charges to your country: FLAT RATE Priority International Shipping is for NON-CGC graded comic books only! 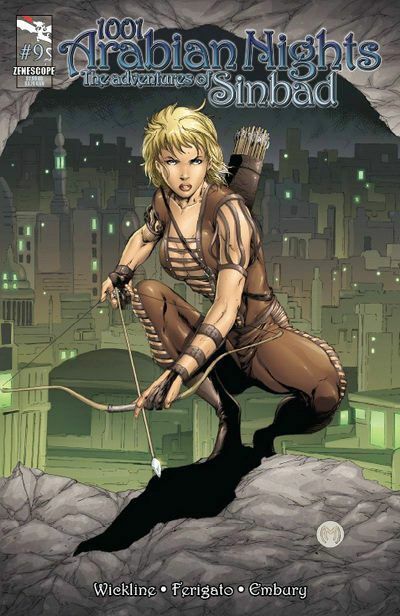 We will ship 4 to 9 non-CGC graded comics to CANADIAN addresses only at the $12.95 shipping charge! Sorry, no magazines and no CGC graded comics at this shipping rate! However, If you want to buy JUST ONE NON-CGC comic, (no magazines, just a comic), then the shipping cost would be $4.99 for FIRST CLASS INTERNATIONAL, but ONLY FOR ONE SINGLE STANDARD SIZED COMIC BOOK. 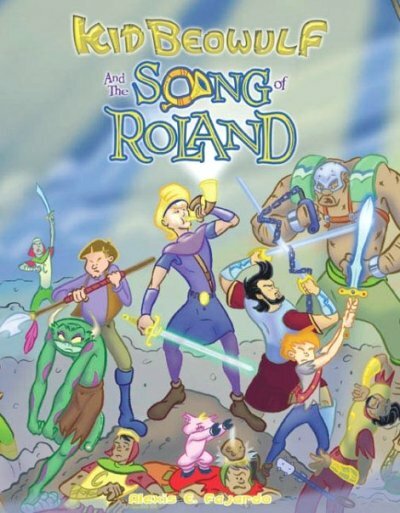 For 2 to 3 standard sized comics... We can ship those comics (only non-CGC comics) for $6.99 USD! UNITED KINGDOM & AUSTRALIA BUYERS: For buyers in the UK and Australia: FLAT RATE Priority International Shipping is for NON-CGC graded comic books only! We will ship 2 to 9 non-CGC graded comics, (no magazines) to the UK or AU/NZ for $14.95 USD as that is what the Priority International Envelope will hold with cardboard insert for protection. However, If you want to buy JUST ONE NON-CGC comic, (no magazines, just a single standard sized comic book), then the shipping cost would be $9.99 for FIRST CLASS INTERNATIONAL, but ONLY FOR ONE SINGLE STANDARD SIZED COMIC BOOK. BUYERS IN COUNTRIES NOT LISTED ABOVE: Please contact us via the 'ask seller a question' on the individual listings. We usually can ship up to nine single standard sized comics books in a flat rate priority mail envelope to your country, but please ask first, as we have to revise the listing(s) to ship to your country! The above is a LOT of info for shipping, but I'd rather have a potential buyer know the ins and outs of the shipping charges prior to clicking the item listings buttons to buy! So that's the 'After Christmas Sale' in total. We are planning a few name changes / re-directions in 2010, so want to clear out what's up in our store right now. So take advantage of these low prices for good reading material. Long Beach Comic Expo - February 20th - This is a possibility only, as it is only a one day show, and not for sure of the guest list! If YOU are a comics creator and plan on exhibiting at any of these shows, you are welcome to email me for possible inclusion in any blog posts that I publish prior to and after those cons! At Cons / Shows that have guests, I will be taking photos for possible inclusion in blog posts, so definitely would like to know if YOU are planning on being at a booth or at an Artists Alley table! The above info is as current as of December 26th, 2009 and will probably be updated in a future blog or two! 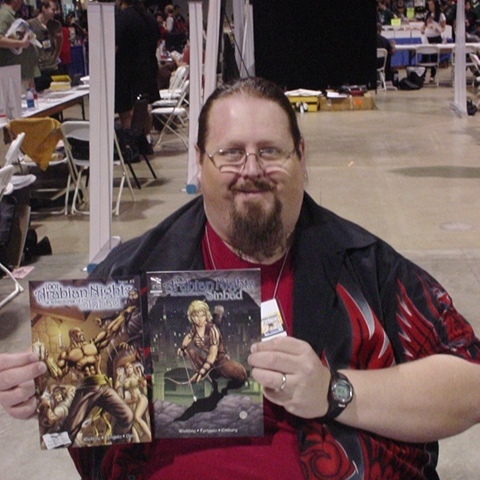 Christmas Comic Book Covers And Me! Starting with a couple that were published in time for my 1st Christmas in 1952! 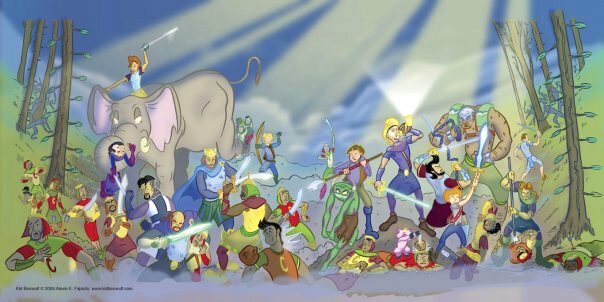 The one at the top left of this blog post is from Standard Comics. It's amazing how many comics publishers no longer exist today from the 1950's! But I have to admit that we are experiencing a New 'Golden Age' today, where individual comic book creators can publish their own works, which could be even better! The comic book at the top right of this blog is from Farrell Publications. Instead of running a 'Bugs Bunny' Christmas Holiday comic book cover here like I've done in the past; I thought I'd run 'Billy Bunny' instead. I'm probably getting several blank stares at the screen just about now... Billy Bunny??? LOL! The comic book cover that we just passed while reading this text was one of those neat-o comic book ideas, 3-D Comics! You know, just like "at the movies" in 1953 when this comic book was published! 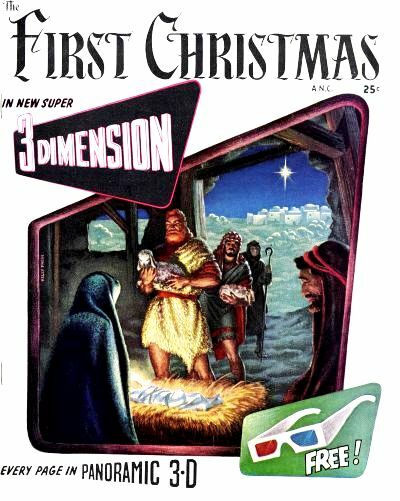 It was a 'cool idea' to see the First Christmas in 3-D back then... but where's my 3-D glasses at?! The comic book to the immediate left reminds me of the many times I've been to Disneyland during the Holidays. 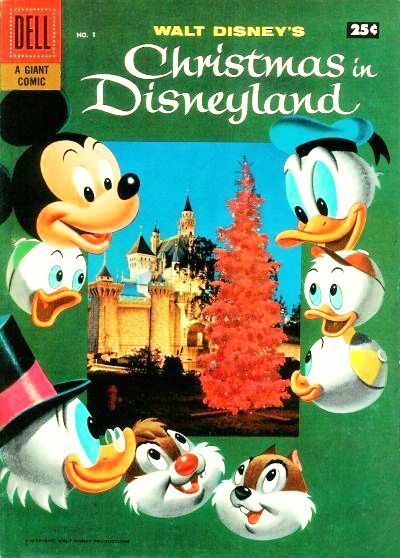 It used to be that a family could go to Disneyland on Christmas Day or the Day after without crowds. Now the crowds are there with the same idea, making Disneyland during the Holidays look a lot like Summertime... Sheesh! Although Disneyland was my favorite amusement park growing up, running a close 2nd was Knott's Berry Farm. When I returned years later to live in the Orange County area, I found myself living just a few miles away from Knott's, so I really had fun taking relatives who came out to visit to have Mrs. Knott's Chicken Dinner. And load up on the Knott's Berry Farm Boysenberry Preserves. Knott's became my favorite amusement park in California. Yumm... good ol' days! Talking about the good ol' days, I grew up as a 'Ford' man, because my Dad had nothing but Fords when I lived at home! 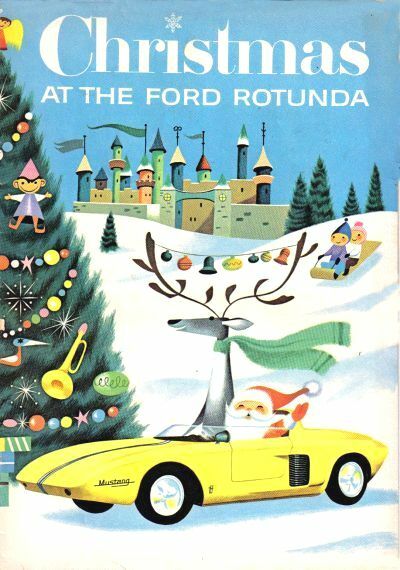 Heck, my first car was a brand new 1970 Ford Maverick, not the 1961 Ford Mustang that Santa Claus is driving in the 1961 Ford Promotional Christmas Comic Book at the immediate left! I really enjoyed those promo comics of the Golden and Silver Ages of Comics, as you can see through the period of time I've been blogging and including them in the 'Main Features' or 'Featurettes' sections! A lot of those promo comics are now shown at Scott Shaw! 's Oddball Comics web site, as well in his card packs for sale. If you received cash during the holiday season, and enjoy the covers shown here today, check out Scott's sites. 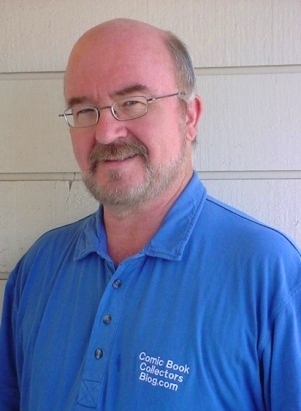 This year I did a special 'Spotlight On... Scott Shaw! 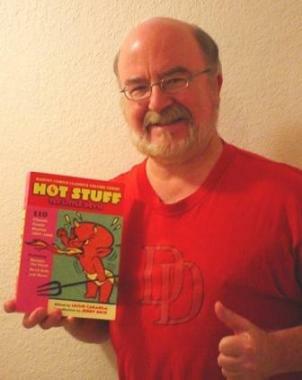 ', where you can find out more of the details and why I love attending his 'Oddball Comics Slideshow'! Okay, now I skip a few years to 1978. 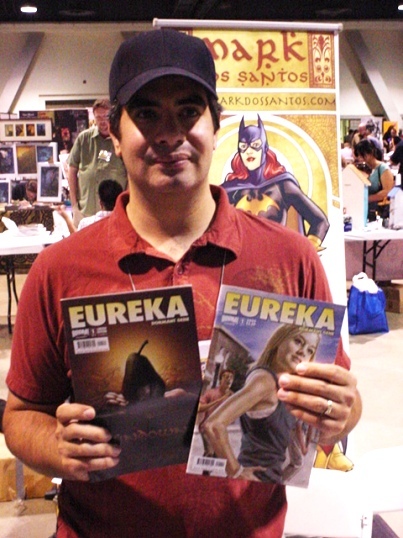 The year that the comic book to the immediate left was published from Marvel Comics. 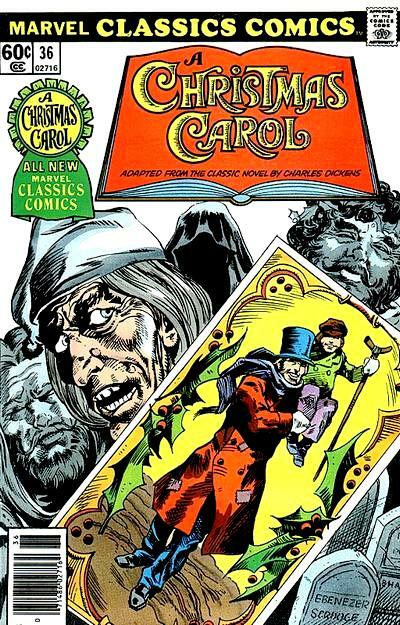 I do enjoy reading the Classics stories, especially in Classics Illustrated style or similar like Marvel Comics did. The 'Santa Claws' versus whomever that have seen print in recent years really don't get my attention. Plus I wouldn't give those away for Christmas gifts either. So yeah, I'm getting older, even though I feel like a 'Big Kid' most of the time! 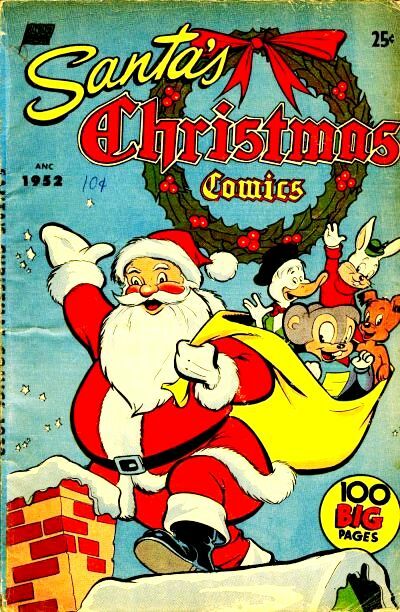 There are more Christmas Comic Book Covers out there, but I've run several of those in past years here at my Blog, plus I have to leave a few for the upcoming years to blog about! There are enough of them out there that someone could actually build a 'Christmas Comic Book Covers Collection', and have a good short box full! My thanks to those who emailed me or messaged me, asking about where's my Christmas Comic Book Covers this year in my Blog. In past years I've used them several days up to Christmas Day, but decided not to do that this year! BTW, If YOU are a comics or graphic novel creator, and would like to possibly see Your work reviewed here in my Blog, including Christmas Comic Books or Stories for 2010, please check this following link, where I tell you: "How To Best Submit YOUR Publication For Possible Review!" PLUS... Be sure to check out our own new listings of comics, graphic novels, Comic Con exclusives and more pop culture items for sale in Our online eBay Featured Store that several of our blogs are based on! Especially if SANTA CLAUS didn't bring You enough reading material for the upcoming year! MERRY CHRISTMAS FROM MICHAEL D HAMERSKY & TINA LOSASSO: We both wish All of our Blog readers, Make It So Marketing customers and clients, our Facebook Comic Con | Make It So Marketing exhibitor table group members, Plus all those that are sent this Christmas Comic Book Covers Blog, the Best Christmas Day ever! We appreciate all of You that have made 2009 a good year for us, even with all the turbulence that this year has brought the entire world. It's nice to know all of you in whatever way we do, either 'virtually', only at comic cons, or in 'real life'! The above photo is from our 2nd Christmas together after we got married. I thought it appropriate to publish that Photo Christmas Card today. Season's Greetings / Season's Tweetings / Happy Holidays to All! 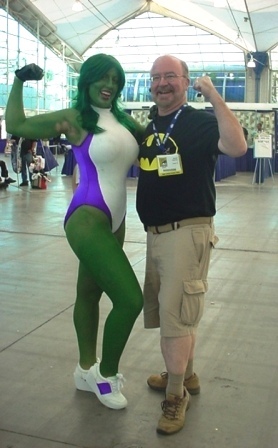 FACEBOOK COMIC CON: We also have an on-line exhibitor table at the virtual Facebook Comic Con. You can view the table by clicking this link. If you are already a Facebook member, please join our Facebook Comic Con | Make It So Marketing exhibitor table for updates, specials, and other wall posts! 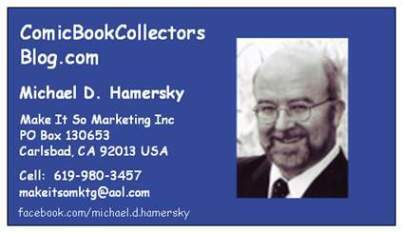 If you are a Facebook member and would like to join my own personal Facebook Network, feel free to send a 'friend request' to 'Michael D Hamersky'.